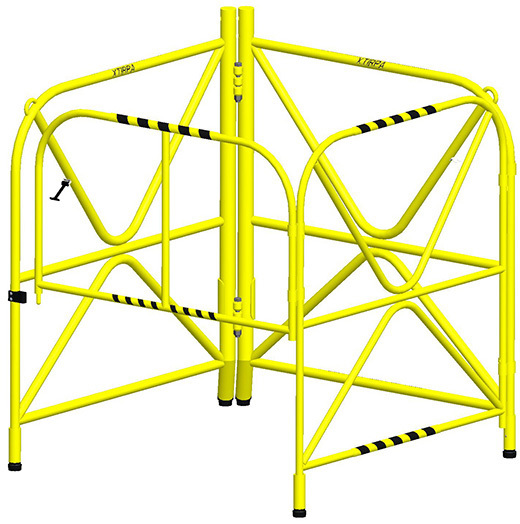 Portable manhole guard with integrated mast which is used in conjunction with a 24˝ ( 610 mm ) davit arm for confined spaces fall protection and retrieval. 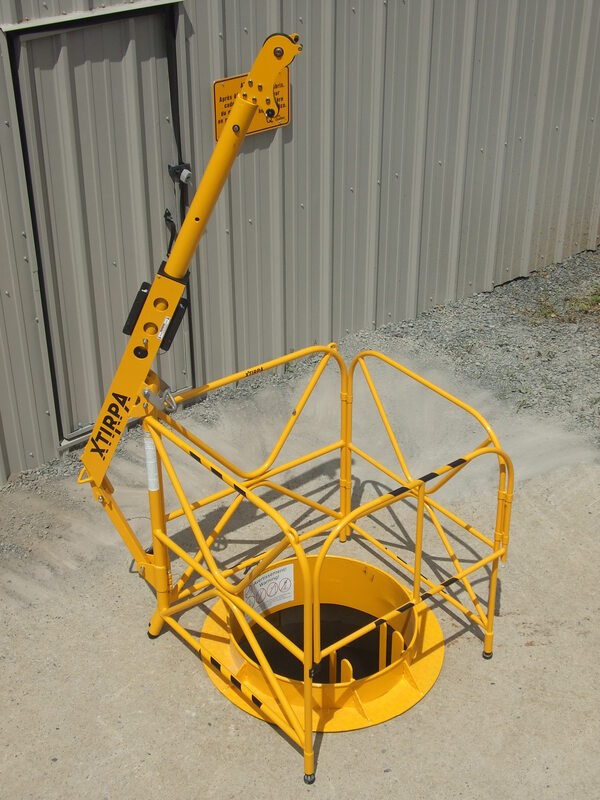 Comes with adjustable feet for simple leveling of system. It is 42˝ H x 38˝ W x 38˝ D ( 1067mm H x 965mm W x 965mm D ). Unit weight 29 lb ( 13kg ).